For 22 years, the Adelante Mujer Conference has been aimed at providing female students and their mothers with enriching learning experience. Participants attend workshops led by female professionals who teach about life skills, academic planning, and career opportunities in fields, such as law, business, media, and engineering. Pick up your registration forms in the main office from Mr. Santamaria OR in Room 208 from Ms. Martinez. Apply now to SUHI Foundation scholarships! Most scholarships have a deadline of March 21st. New this year is the Lauren Benitez Computer Science Scholarship, created by 2013 SUHI alumna Lauren Benitez who is a graduate of UC Berkeley’s Computer Science program and now works as a software engineer at Goldman Sachs. 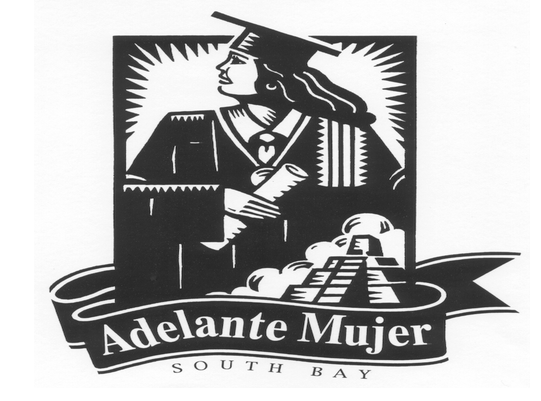 For 26 years, the Adelante Mujer Conference has been aimed at providing female students and their mothers with enriching learning experience. Participants attend workshops led by female professionals who teach about life skills, academic planning, and career opportunities in fields, such as law, business, media, and engineering. Saturday, March 16th, 2019 – 8:30 a.m. to 2:00 p.m. Registration includes: Pan Dulce, Lunch and Workshops for students. RETURN REGISTRATION & EXCURSION FORM TO MRS. CUELLAR- MARTINEZ ROOM 208 OR MRS. MADRIGAL MAIN OFFICE, BY March 6, 2019. ON SITE REGISTRATION WILL BE LIMITED. Are you graduating in 2019? Planning to major in a STEM field? Apply for the GREAT MINDS IN STEM Scholarship! If you are taking one or more AP tests this year, payment is due to ASB by Friday March 8th. Quin Murphy Foundation Scholarship Clean Up/Beautification day at Sweetwater High School for Saturday, March 2nd, from 8 am to 12 pm at Sweetwater High School. Meet: meeting behind the lobby of the main building at 8 am. One of the scholarship application requirements/criteria is student community service work for their high school. The foundation has awarded several scholarships in the thousands of dollars to deserving graduating Sweetwater High School students for the past several years in honor of Quin Murphy. WHERE: Sweetwater High School, Laura Charles Theater in Main Building. We are excited to have Wimpy Kid Author Jeff Kinney to visit with us via Skype on March 13th in the morning. The session will cover his studio and how he creates his art. There will be a few questions from the audience. Submit your question in advanced. You could be selected to read it to Mr. Kinney. Don’t miss this event! Popular author of the Wimpy Kid Series Jeff Kinney will Skype with us on March 13th in the SUHI Library. Students make sure that you come prepared with a question. You might be selected to read your question to Mr. Kinney. Hope to see you on March 13th no later than 10:50 a.m. Ask your teacher for a pass to the library if you want to participate. You won’t be admitted once the Skype session begins. Physicals TODAY after school in the Dance Room! Students who need physicals to play Spring sports can get their physicals completed TODAY (2/14) after school in the Dance room for $20.